Lakis Halkias, who origins from a famous family of musicians from Epirus, Greece (he is the son of the great clarinet player Tasos Halkias) started his career in music in a very young age. 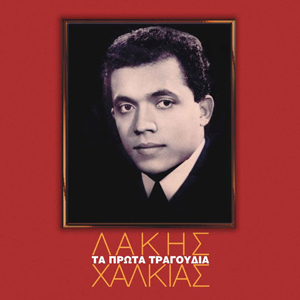 His unique voice made him very famous and he is considered to be one of the greatest Greek singers of traditional and “Laika” (popular) songs. In this record we find his early recordings in the USA at the 60’s & 70’s such us “Dolce Vita”, “Deka simvoules”, “Plirofories kakes” etc. An exceptional CD with sentimental and historical value for your collection!